With Vitamin B3 & the magic of Candian Rumex, this cream will help you remove tanning and get an even skin tone. Men tend to spend a lot more time outdoors. In situations like driving or commuting face tends to get exposed to the sun. This leads to tanning or uneven partial tanning and skin dryness. 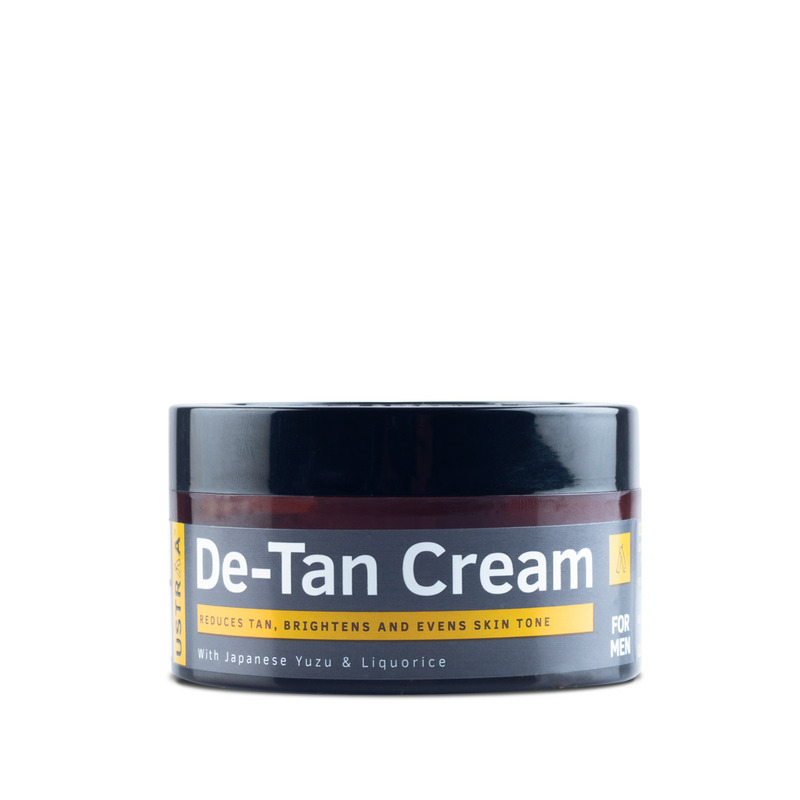 Our de-tan cream reduces tan, brightens & evens skin tone. Highly recommended for outdoor men and people with darkened skin tone. Our cream is free of any harmful chemicals and safe to use daily to achieve a brighter, fairer and even skin tone.